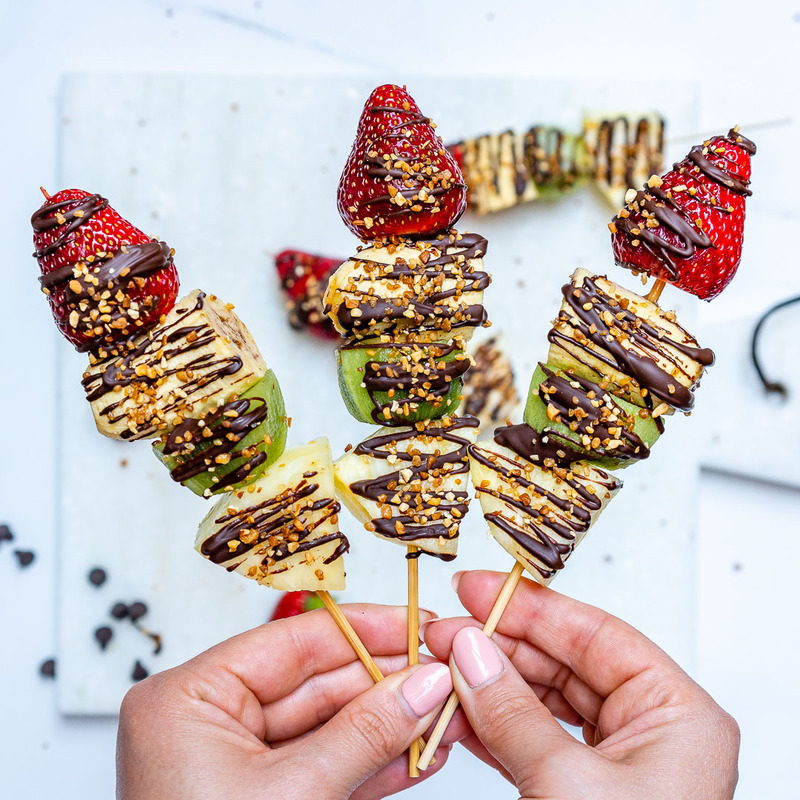 🍓 Raise your hand if you you love me now 🙋 🙌 🤷 🤔 😂 ?!! Look for a quality Dark Chocolate, with a higher percentage of cacao (NOT cocoa). 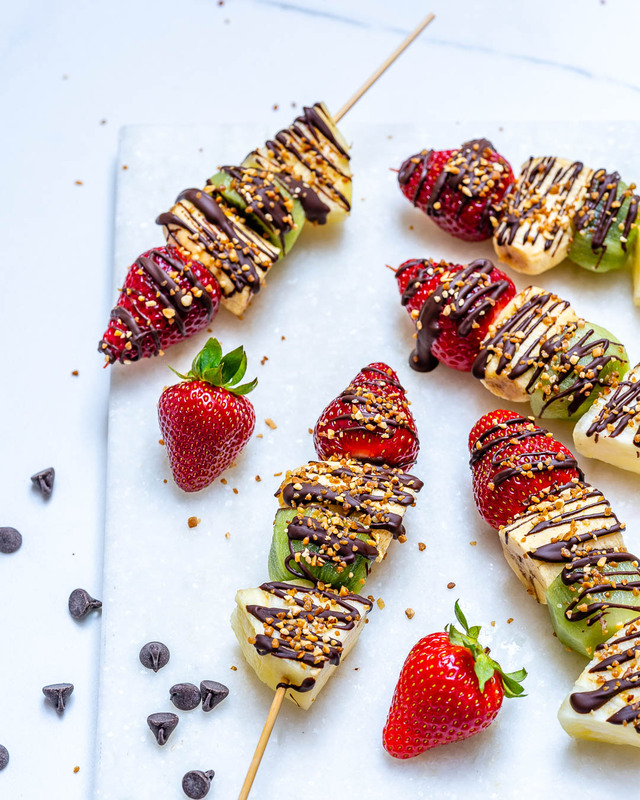 The antioxidants are higher…and usually, the sugar is lower! 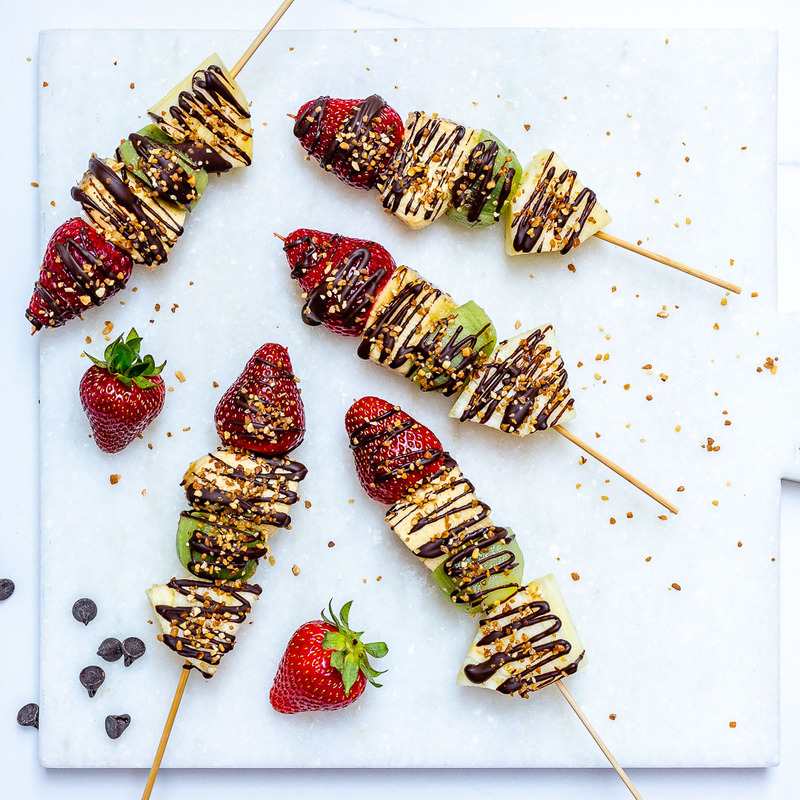 For a silkier texture, try melting a Tablespoon of unrefined Coconut Oil right into the chocolate! 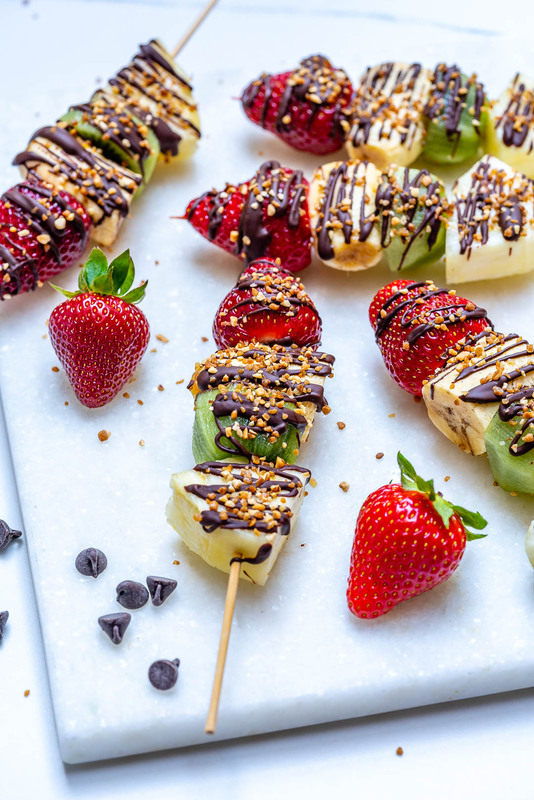 To assemble: slide pineapple on the skewer first, then banana, kiwi, and strawberry, then place on the prepared sheet pan. Place a wide skillet with about an inch of water on your burner. Place chopped chocolate pieces in a heatproof bowl (tempered glass), and set the bowl directly in the water. Bring the water to a simmer, then turn OFF the heat and slightly whisk the chocolate sit until it is melted. 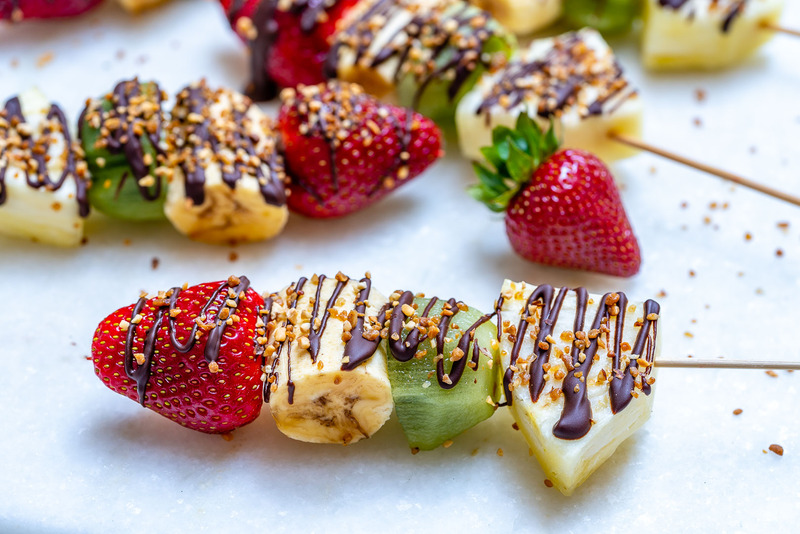 Lightly drizzle the kabobs with melted chocolate, then sprinkle with nuts and enjoy immediately or refreeze for an hour or two until ready to serve. ❤ Rachel Line a sheet pan with parchment paper. 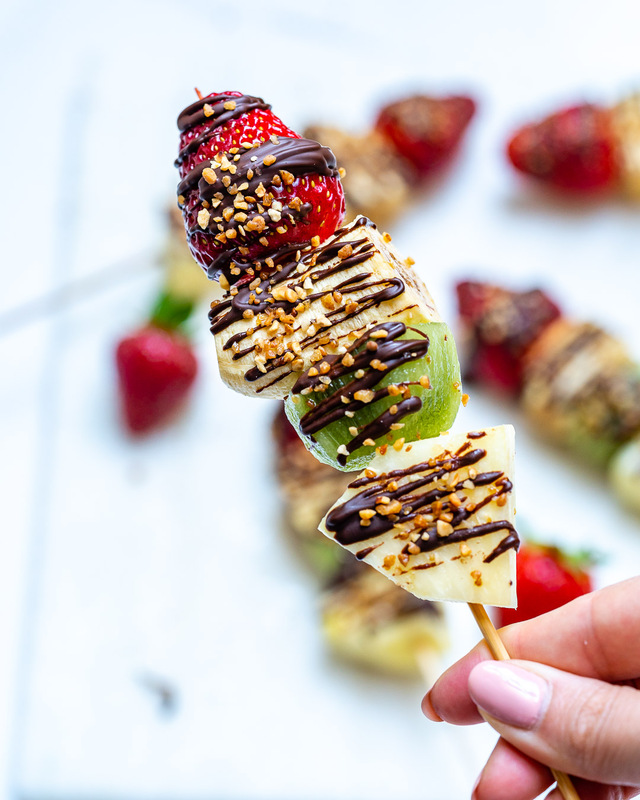 To assemble: slide pineapple on the skewer first, then banana, kiwi, and strawberry, then place on the prepared sheet pan. Freeze for about 15 minutes. How to melt chocolate: Place a wide skillet with about an inch of water on your burner. Place chopped chocolate pieces in a heatproof bowl (tempered glass), and set the bowl directly in the water. 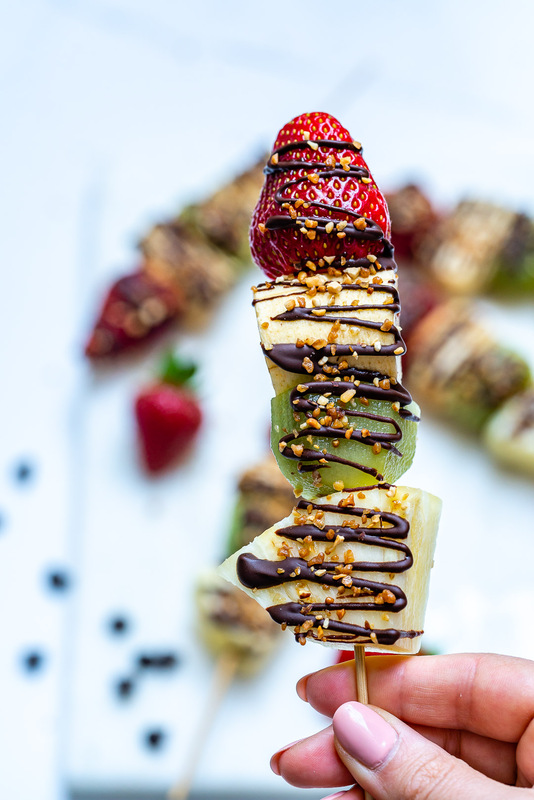 To assemble: slide pineapple on the skewer first, then banana, kiwi and strawberry, then place on the prepared sheet pan.